The general fund of the Ornamo foundation consists of donations from Alva Bergroth, Arttu Brummer, Eeva Renvall, Marja Suna, Lena Strömberg, Hannu Kähönen, Ilmari Tapiovaara, H.J. and Irmeli Viherjuuri, Anna-Liisa Wiikeri and Gerda and Salomo Wuorio. Karl Artur Brummer, or Kaarle Arttu Brummer-Korvenkontio, was born on 10 May 1891 in the city of Hämeenlinna. 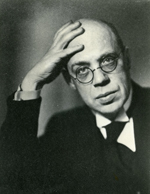 As a designer, Brummer had a key influence on Finnish industrial art. He worked as a teacher in the Central School of Applied Arts, which was later to become Aalto University School of Arts, Design and Architecture, and served as its artistic director from 1944. After graduating as a furniture designer in 1913, Brummer founded his own design agency. In the Central School of Applied Arts, he taught general composition, furniture design, and form theory. In addition, he taught heraldic design on the basis of his personal interests. Arttu Brummer was an active writer and critic. Brummer represented the conservative opposition to the functionalism of the 1930s, of which Alvar Aalto is a prime example. Stylistically, Brummer positioned himself somewhere between art deco and the classicism of the 1920s. Brummer took part in projects such as the interior decoration of the Parliament building as well as the new wing of the Helsinki University main building. He also designed unique glass objects. 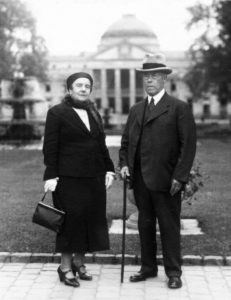 Brummer was married twice; first, in 1923 to 1925, to textile artist Eva Anttila, and in 1926 to 1951, to textile artist Eva Ester Martio. Brummer’s only child, Markus Aron Kristian (born 1931), is a professor and university lecturer with a doctorate in medicine. The profit from Brummer’s assets is distributed as grants from the general fund of the Ornamo Foundation. Reference: Arttu Brummer – Taideteollisuuden tulisielu (author Jarno Peltonen, ed. Marianne Aav). Hannu Kähönen (born in 1948) graduated as an industrial designer in 1975 from the School of Art and Design, where he has been lecturing since then. 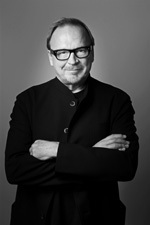 In 1981, Kähönen established the internationally acclaimed design agency Creadesign Oy. His approach to design is comprehensive, highly practical and mindful of the user as well as the environment. Many notable Finnish and international companies, such as Abloy, Suunto, Martela, Tulikivi, Bombardier and Siemens, have produced Kähönen’s designs. Creadesign has designed several items for the City of Helsinki, such as low-floor trams and litter bins. Hannu Kähönen has received several major awards and acknowledgements: Industrial Designer of the Year Vuoden teollinen muotoilija in 1992, Pro Finlandia in 2001, appointed art professor by the Arts Council of Finland in 2006, the Finnish national industrial art award Valtion taideteollisuuspalkinto (twice), the Baden-Württemberg International Design Award in 2005, the iF Design Award in 2007, the Kaj Franck Design Prize in 2009, and in 2011, Creadesign Oy was awarded the Ornamo Award. The Hannu Kähönen fund is part of the general fund of the Ornamo Foundation, from which grants for projects that focus on environmentally-friendly design by members of the Teollisuustaiteen Liitto Ornamo ry can be awarded. Salomo Backberg was born on 28 August in 1857, in the town of Hausjärvi in Tavastia, southern Finland which he left, at the tender age of 12, to make his living in the City of Helsinki. The young man began painting as an apprentice in master Kyrklund’s shop, in which he progressed to the occupation of journeyman painter, before studying in Stockholm and working in both Stockholm and Turku. In January of 1890, Salomo Wuorio established his own painter shop in Helsinki, while the painting of the National Archives of Finland building was still incomplete. In the 1890s, his painting company, S. Wuorion maalausliike, became the leading painting firm in Helsinki and Finland. On 19 May 1896, Salomo Wuorio married Gerda Maria Länghjelm. The couple had three children; a daughter and two sons. At the end of 1800s and the beginning of the 1900s, Salomo Wuorio was a major figure in Helsinki. He was close to many artists and architects, and made several donations in support of the arts in Finland. S. Wuorion maalausliike collaborated extensively with the most prominent artists and designers of the time. Salomo Wuorio was a remarkable patron of culture and the arts, never seeking to take the centre stage himself. By 1932, Salomo Wuorio had been appointed an honorary member of Suomen maalarintyönantajain liitto (the Finnish master painters’ association) and its Helsinki division, Suomen Rakennusmestariliitto (the Finnish association of building contractors), Ornamo, the Artists’ Association of Finland and the Finnish Society of Crafts and Design. The return on the Wuorios’ assets is awarded as grants from the general fund of the Ornamo Foundation. Reference: The Gerda and Salomo Wuorio fund.